Be A Unicorn 6 Oddsocks is rated 5.0 out of 5 by 4. 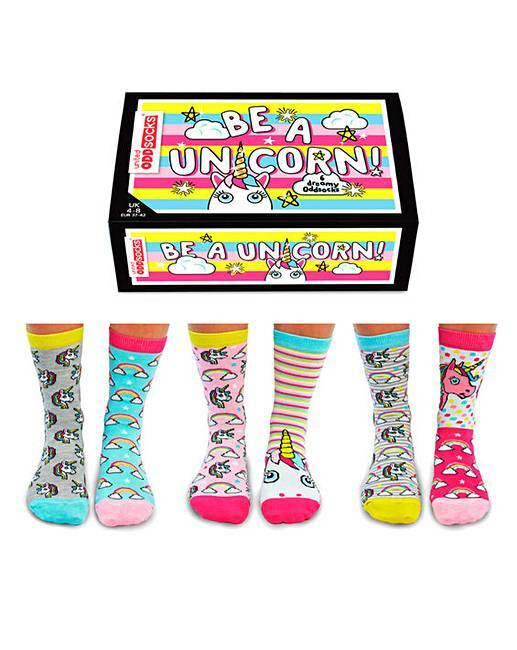 Rated 5 out of 5 by nita from Fun and beautifully packaged My daughter always wears odd socks and these are an ideal stocking filler (No pun intended) for Christmas she'll love them. Rated 5 out of 5 by Yvonne 1 from Love odd socks Bought these as an Xmas pressie but they look really cool.